Longman Pub Group. Paperback. GOOD. Spine creases, wear to binding and pages from reading. May contain limited notes, underlining or highlighting that does affect the text. Possible ex library copy, thatâll have the markings and stickers associated from the library. Accessories such as CD, codes, toys, may not be included. Longman Publishing, 1995. Paperback. Very Good. Disclaimer:A copy that has been read, but remains in excellent condition. Pages are intact and are not marred by notes or highlighting, but may contain a neat previous owner name. The spine remains undamaged. At ThriftBooks, our motto is: Read More, Spend Less.Dust jacket quality is not guaranteed. Longman Pub Group. PAPERBACK. 058255277X Ships promptly from Texas. . Fair. 1991. Longman Publishing Group. Used - Good. Shows some signs of wear, and may have some markings on the inside. Longman Publishing Group. Used - Very Good. Former Library book. Great condition for a used book! Minimal wear. Longman Publishing, 1995. Paperback. Good. Disclaimer:A copy that has been read, but remains in clean condition. All pages are intact, and the cover is intact. The spine may show signs of wear. Pages can include limited notes and highlighting, and the copy can include previous owner inscriptions. At ThriftBooks, our motto is: Read More, Spend Less.Dust jacket quality is not guaranteed. Longman Pub Group. PAPERBACK. 058255277X Ex-school/Library book. Book is in good condition. Cover has some wear. Fingermarks present. Page discolouration present. Creasing present. Sloping spine. May be ideal for teachers/students. -- Re-Read is a social enterprise that trades in and recycles books to reduce waste, save them from landfill and provide services and activities that promote literacy, education attainment and quality of life in South Yorkshire and supports Askern Community Library. All overseas shipping is via Airmail. . Good. 1991. Longman Pub Group. PAPERBACK. 058255277X Student Edition. No apparent missing pages. Heavy wrinkling from liquid damage. Heavy wear, fading, creasing, Curling or tears on the cover and spine. May have used stickers or residue. Good binding with NO apparent loose or torn pages. Heavy writing, highlighting and marker. Supplemental materials are not guaranteed with used books. . Fair. 1991. Longman. 1993. Later Printing. Softcover. 058255277X . Very good. Solid binding, bright cover, clean, no creases. Trade size. ; 230 pages . Longman Pub Group, 1991-03. Textbook Binding. Good. Longman Publishing Group. Used - Good. Ships from the UK. Former Library book. Shows some signs of wear, and may have some markings on the inside. 100% Money Back Guarantee. Your purchase also supports literacy charities. London: Longman, 1991. Trade paperback, later printing, viii + 230 pages; tiny corner bumps, light traces of (coffee?) staining to fore edge without page penetration, but very gently read, interior very clean and unmarked. 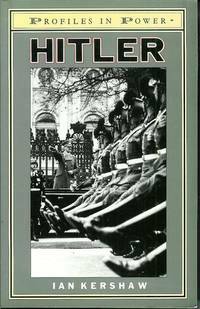 See also our listing for Glenn Infield's very scarce The Private Lives of Eva and Adolf: A Photographic Documentary of Hitler's Sixteen-Year Love Affair.. Soft Cover. Very Good. London: Longman, 1991. Trade paperback, later printing, viii + 230 pages; just a hint of age toning, otherwise in very clean and unmarked unread condition. 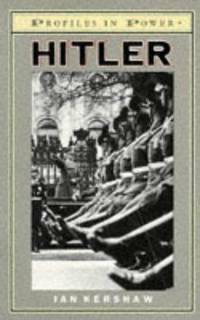 See also our listing for Glenn Infield's very scarce The Private Lives of Eva and Adolf: A Photographic Documentary of Hitler's Sixteen-Year Love Affair.. Soft Cover. Very Good ++. London: Longman, 1991. Trade paperback, later printing, viii + 230 pages; very clean and unmarked unread condition, pages fresh and white.. Soft Cover. Fine. Essex: Longman, 1993. N.B. Reading crease to spine. Bottom right corner of front cover a little creased. Slight darkening to page edges. . Sixth Impression. Paperback. Good/No d/j as Published. 8vo - over 7¾" - 9¾" Tall. Longman Pub Group. PAPERBACK. 058255277X ref 334 d . Very Good. 1991. Longman, 1991. 1st Edition . Soft cover. Very Good. Soft Cover, Very Good Condition. London: Longman Pub Group, 1991. First Edition. Paperback. Very Good/No Dj. 8vo. pp. viii 230.